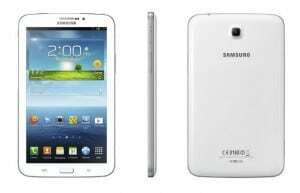 Following weeks of rumors and speculation, Samsung finally made the Galaxy Tab 3 official on their page. The downside is the fact that, the tablet is not impressive at all. The changes made to it from previous versions are not enough to impress anyone. 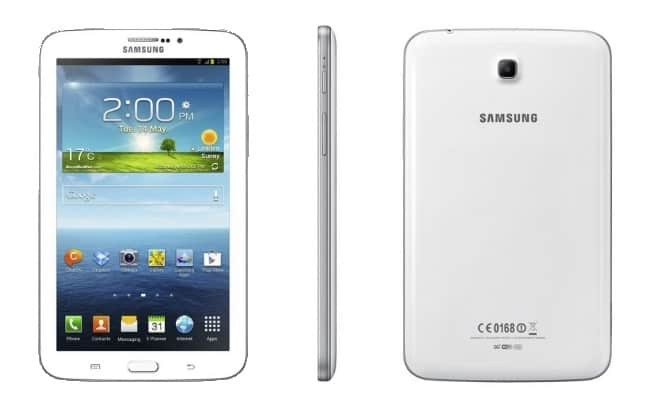 The Galaxy Tab 3 will feature a 7 inch screen with basically the same design as the Galaxy Tab 2. So far you can see the disappointment. The screen will have a resolution of 1024×600 with a sharp 169 ppi. Again, nothing top notch here, as many tablet already go beyond this. To power up the device, Samsung introduced a 1.2 GHz CPU with 1 GB RAM memory. Also the camera is still the same 3 mp rear and 1.3 mp from camera. The only noticeable improvements are the doubled up storage space to 16 internal GB and a micro sd car slot for up to 64 additional GB. The battery is a 4000 mAh one, big enough to last a huge while. The OS is still Jelly Bean 4.1, but there will be no LTE available, only 3G.